One of my favorite memories as a child in the garden was eating fresh home-grown peas. No garden should be without! Peas are one of the oldest food crops that were commonly grown in home gardens in colonial times. Thomas Jefferson reported to have cataloged at least fifty varieties and grown at least thirty. Records indicate that he competed with fellow growers as to see who could serve the first bowl of peas each spring. There are shelling peas (a kids and my own favorite), snow peas and snap peas. In my area I can plant peas around January weather permitting. I do watch the soil temperature, making sure that it is at least 40 degrees F. If the weather is so cold and the forecast for the next week looks like ugly (like this year) I will wait. Peas do best in cooler weather. Once summer sets in, peas stop producing. I also plant a crop in autumn 60 to 90 days before your first hard frost date, and then we enjoy peas late fall and into early winter. I like to plant the low growing varieties. The wind here can really whips the babies around. 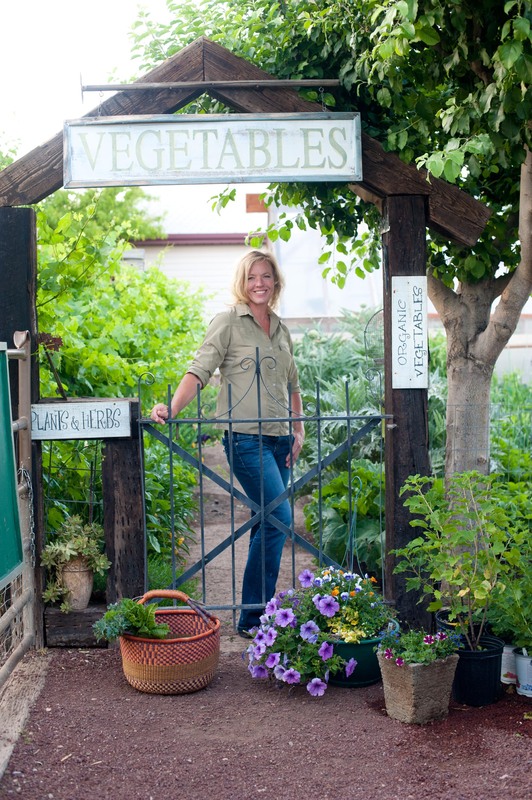 As with any new crop you should prep your soil with compost and a good fertilizer. I till in about 4″ of compost and use a well balance organic fertilizer. 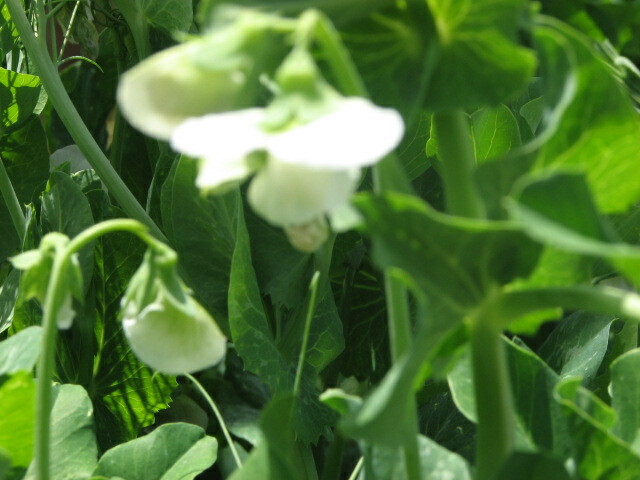 When peas begin to bloom I give them another feeding of fertilizer. I also like to sprinkle them with compost tea I brew often for the hungry plants. Most packages will tell you to plant 1″ deep. During spring plantings I only poke the seeds in the ground about 1/2″ and fall time, I will plant the full 1″. The soil is cooler the further down you go, so I bring the seeds closer to the surface where it’s warmer during the early spring. Sow the seed thickly in a rectangular block , and the vines will grow together into a fairly stable mass and help support each other. Harvesting involves reaching into the block and picking the pods, no big deal. You can produce a lot of peas in a small space this way. Make successive planting every two weeks for a steady supply of peas. Peas need water most when germinating and when the are blooming. Check the plants daily. Pods form quickly, and you want to pick them just as the peas have filled out the shells but before they start getting too mature and starchy. Keeping the pods picked also extends the peas’ productive season. When left on the vine the plant puts all of its energy into producing seed for survival. By choosing the right variety, planting when the soil is warm enough, and harvesting at the right moment, you can enjoy that sweet, fresh taste available only to those who grow their own peas.